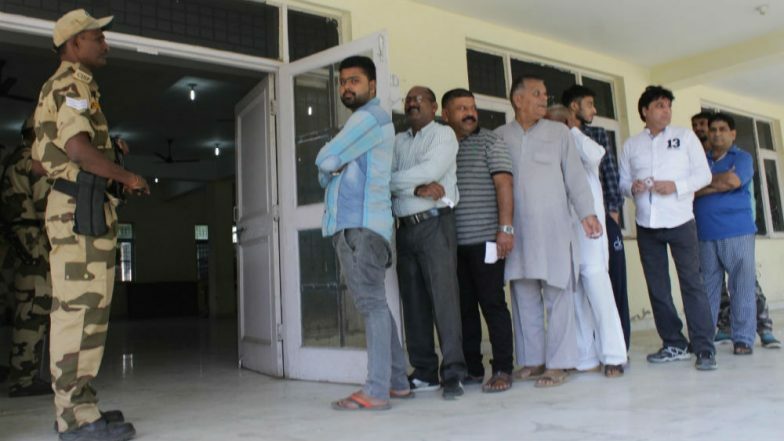 Lucknow, April 11: With 50.86 per cent polling recorded till 3 pm in phase 1 of Lok Sabha Elections in Uttar Pradesh, Bahujan Samaj Party has written to the Election Commission alleging that BSP voters especially Dalits are being stopped from reaching polling booths by use of force by UP police. The BSP wrote, "We are receiving info from various polling stations that BSP voters especially Dalits are being stopped from reaching polling booths by use of force by UP police. All this is apparently being done on the diktat of higher-ups. Immediate intervention is required." It is to be known that voting for the first phase of Lok Sabha Elections 2019 is taking place in eight constituencies of Uttar Pradesh today. Polling began for the Saharanpur, Kairana, Muzaffarnagar, Bijnor, Meerut, Baghpat, Ghaziabad, and Gautam Buddh Nagar seats at 7 am.